Byron York, Chief Political Correspondent for the Washington Examiner interviews newsmakers on the issues of the day. In this interview, George Papadopoulos describes —in crazy detail— why he believes a series of shady figures recorded him when he was he was working for the Trump campaign. Plus, why did so many foreign spooks want to buy him a drink? The answers to this and more in this episode of the Byron York show. Who Was Spying On Whom? Talking with Mark Meadows about secret surveillance in the Trump-Russia investigation. Was there more than we know? Plus, what is the Grand Unified Theory of how it all started? And are we paying enough attention to John Brennan and the CIA? John Dowd was President Trump’s lawyer during a critical time in the Mueller probe. Boy, was there a lot going on behind the scenes. A peek inside the epic battle of the presidency with the president’s attorney. A talk with the House GOP’s top tax man, Kevin Brady. How much wall–er, barrier–do we really need? Can Dems really stonewall the wall? And why did Trump dump on Paul Ryan in that White House meeting? This week, Byron sits down with Sen. Rob Portman (R-OH). First up: what kind of deal could break the Trump-Pelosi impasse? Plus: With the 2020 race underway, is Ohio still the nation’s key swing state? (Hint: Maybe not.) And: having voted for Mike Pence for president–yes, president–in 2016, will he vote to re-elect President Trump? This week, Byron York is joined by Representative Jim Jordan (R-OH). He discusses efforts to find out what really happened with the Trump dossier. Plus: Why being in the minority is a bummer and what Trump should do for the State of the Union. 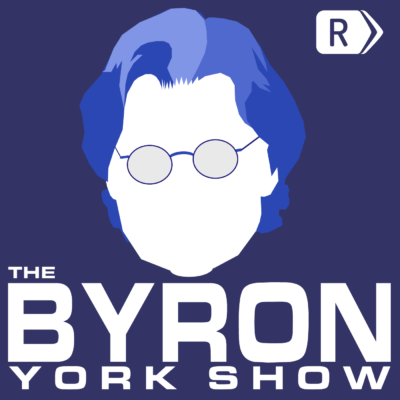 The Byron York Show, an eponymous podcast hosted by Washington Examiner chief political correspondent and Fox News Contributor Byron York, will cover politics and personality from deep inside the swamp.